Fish 4 Dogs Sweet Ocean Wraps are made from apple, wrapped in fish skins. Gluten free and grain free, apples are an ideal accompaniment to fish. 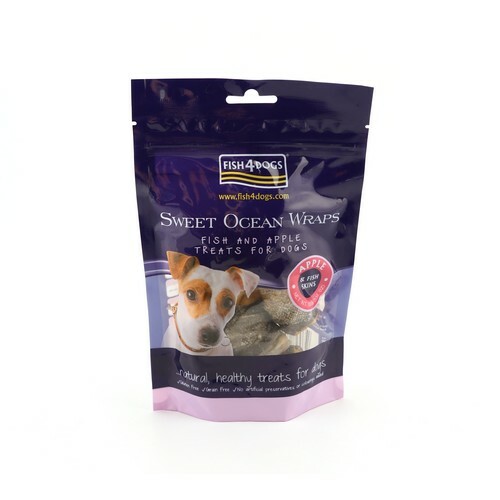 Like humans, dogs have an extremely sweet tooth, therefore combine the sweetness in apple with the fish wraps and you get a fantastic, fruitfully fishy treat. A healthy, chewy and delicious guilt free treat that is also great for cleaning teeth.